Is sobriety a feminist issue? Feminism is the watch-word du jour, and not just among women of a certain age and political inclination. The drive for gender equality, and, more saliently, accountability, had ‘feminism’ named 2017’s word of the year. There’s just one problem: no one seems to be able to define what ‘feminism’ means. Instead, column inches are dedicated to the assessment of what stops us classing a woman as a feminist, as much as what is ‘feminist’. 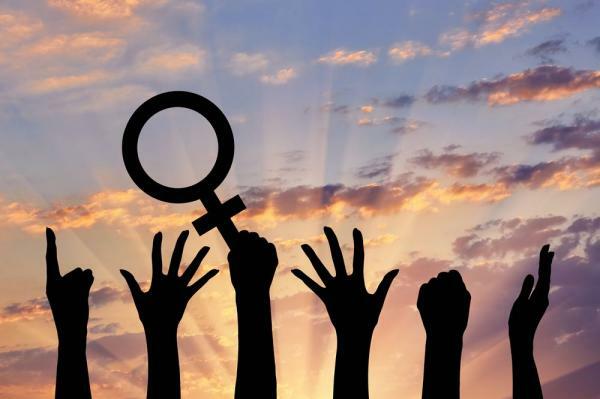 Every person in the public eye is keen to declare themselves a champion of women’s rights – though few seem willing to act on these declarations. Instead, the wave of feminist feeling gripping our cultural discourse is harnessed to have what Kelly-Ann Conway called ‘individual feminism’; a phenomenon more easily described as co-opting a political movement for one’s own gain. Our brains thrive on dichotomies, the black and the white. Historically, the narrative of alcoholic excess has been firmly patriarchal. The enchantment exerted by the altered state of drunkenness has long held a romance that will be hard to shake in our collective minds. This romance of great thinkers who were great drinkers (Hemmingway, Tennessee Williams, Joyce, Titian) are almost exclusively male. Even female arbiters of excess such as the Maenads, operated within the patriarchal structure of the Dionysian church. The alarming thing is that the subversion of feminism’s meaning for the advancement of other agendas is not just isolated to problematic figures like Conway. To be a feminist, one has to seek self-determination: has sobriety been transformed into a feminist act? The meaning of addiction is ‘to be enthralled’ – quite literally: the Latin, addictus, meant to be made over to another. Therein lies the evil of addiction: it robs us of the self-determination which is inherent to feminism. It is this ‘drama of enthrallment’, which Leslie Jamieson cites as a key facet of her alcohol abuse in her new book, The Recovering. She writes about the myth of Iowa, the location of the eponymous Writer’s Workshop – a city which embodies the male-centric mythology of romantic excess as home of Carver, Cheever, Berryman, Whitman and London, whose alcoholic memoirs John Barleycorn recognised alcoholism as a moral problem: the inability to control desire, and thus to direct the course of one’s own life. The root of feminist theory is the question of control. Control of the self; control of others. It is interesting to note that this focus on control crops up again and again in modern sobriety discourse. With the tagline, ‘love life in control’, one such group, Soberistas, subliminally suggest that curbing excessive alcohol consumption is one means of throwing off the yoke of patriarchal oppression. In a now-famous essay, Kristi Coulter detailed her rage at the heavily gendered drinking society she witnessed as a newly sober woman, railing that “the things women drink are signifiers for free time and self-care and conversation — you know, luxuries we can’t afford”. I have previously written about the insidiously gendered marketing we still see in the drinks industry: Coulter’s narrative is incendiary, but one senses it is lit by frustration rather than bile. Her essay acts as a catalyst for the plethora of new groups and ‘movements’ which promote full sobriety or at least ‘mindful drinking’ as the ultimate form of self-determination. “When you ask for clarification on the “women-acting-like-men stuff”, it’s never that too many women are being accepted into medical school or are on TV or are in charge of their own finances. It usually comes back to drinking. […] we accept that there are moral differences between male and female drunkenness, and this is perhaps why we rarely see mixed-gender groups splashed across the Daily Mail”. When hyper-personal issues such as addiction and sobriety are swept up in wider social discourses, the true value of sobriety is subverted to a less relevant cause. Women are constantly told that drinking alcohol will fix problems and relieve stress – it’s always an escape. But cracking a bottle with friends is a short step to cracking a bottle alone. Conversely, despite all marketing encouraging women to drink more, they are constantly derided in the media for drinking too much. On the flip side, men are targeted by campaigns actively encouraging them to drink less. There’s obviously no equality in that; but embracing all-out sobriety because you feel that society demands it of you subverts the choice element which is crucial to the feminist narrative. The sea-change in this marketing towards women sadly seems less to be one of moderation, more one of full denial: sobriety is being marketed to ideologically vulnerable young women with the same vigour that alcohol was marketed in the 1990s ladette culture. Previous post: What have wine critics ever done for us?